With their morale low after a shock loss to Bangladesh, an injury-hit England take on the West Indies in a crucial group B match in Chennai on Thursday requiring an outright win to keep their World Cup hopes alive. England have endured a roller-coaster World Cup so far having won two games, including the humdinger against South Africa, holding India to a tie. But their loss to minnows Ireland and Bangladesh have made this one a must-win encounter even to be able to think of quarter-final qualification. With four teams competing for the three quarter-final places from the group after South Africa booked their berth with a clinical win over the Ireland on Tuesday, even a win will not suffice for England and they have to await the results of the match between India and West Indies and then pray South Africa defeat Bangladesh. India, with seven points, are in second place while the West Indies and Bangladesh have six points apiece. They have their last big match against India in Chennai on Sunday. Inconsistency has been the hallmark of England's campaign so far as is evident from their bouncy journey and their woes have only compounded with doubts over the fitness of Strauss and key strike bowler Graeme Swann, who kept away from practice on Tuesday after recovering from a stomach bug. 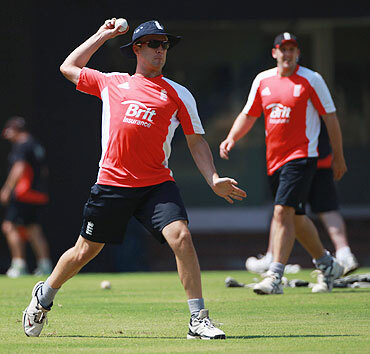 Batsman Jonathan Trott, however, has expressed hope that Swann and Strauss will be fit for the vital match on Thursday. Any setback on that front will badly hit the English as the side has already suffered two pull outs (hernia-hit Kevin Pieterson and Stuart Broad) midway. The current World Twenty20 champions' hopes to lift the elusive ODI World Cup suffered a severe a jolt when they lost to Bangladesh in a closely-fought encounter in Chittagong. The humiliating defeat came after England showed remarkable resilience to bounce back from the jaws of defeat against South Africa in a thrilling match in Chennai, which also raised questions about the team's ability to tackle slow tracks where the ball does not come on to the bat. This was clearly evident in their last match against South Africa in Chennai when Robin Peterson opened the attack for the Proteas and England were reduced to 3 for 15. 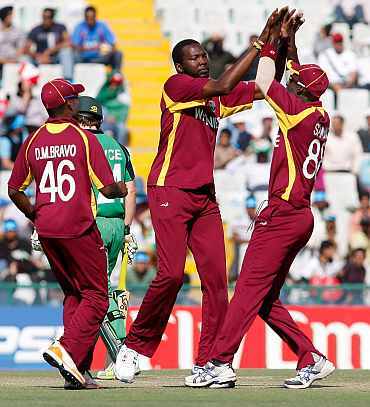 Their second left-arm spinner Nikita Miller and all-rounder Chris Gayle, who bowls off-breaks and is said to be fit for Thursday's tie, add more zing to their spin attack. Bowling has been a major worry for Strauss as the team has conceded 1,351 runs, second-highest after Canada's 1,370 in its five matches, with James Anderson bearing the brunt. 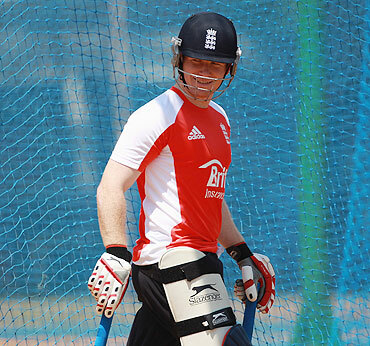 However, the composition of the playing eleven on Thursday would depend on the fitness of Strauss and Swann. 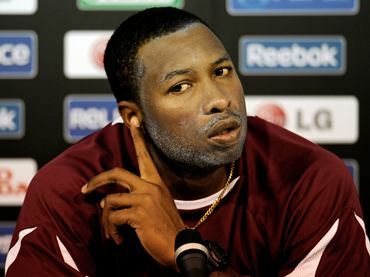 The West Indies also have an advantage with Ottis Gibson, a former bowling coach for England, joining their side as the head coach and Pollard had on Wednesday said it was for the players to expose the weaknesses of Englishmen. But England can take some heart from their head-to-head record against West Indies with the Caribbean team just managing to win once in their five World Cup encounters so far. Tim Bresnan, Graeme Swann, James Anderson, Michael Yardy, Ajmal Shahzad, James Tredwell, Luke Wright, Chris Tremlett.